Most of us suffer from some sort of pain, stiffness, or excess flexibility in the hips and those issues ripple up the spine into back and shoulder problems, or down the legs into knee and feet issues. Countless studies reference how our hips are connected to our emotions and suppressed experiences, lodged deep into the tissues of the body. In this workshop we will address the physical opening and strengthening of the hip region to help your body feel supported and fluid. 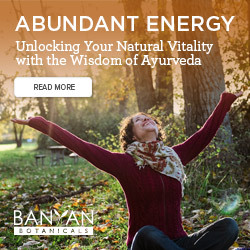 We will also address the Chakra aspects that are connected to the hips as well as Pranayama, mantra, Tantric Kriyas and meditation for a thorough yoga experience. You will leave feeling lighter with a joy in your step. Our center, known as the “kunda” or oven in Sanskrit, is where our internal fire is contained. We need this fire for healthy digestion of food, mental activity, and emotional experiences. This workshop will help you access, light, build and maintain your flame so that it shines through the spark in your eyes, the glow of your skin, and expands your whole aura. We will practice in a unique way of doing yoga poses and movements that focus on strengthening and stretching the entire torso. You will learn about Bandhas (internal locks of energy) and Mudras (seals of energy), to light and contain this inner fire. A meditating Tantric Fire Ceremony will follow to teach you how to embody this force, increasing your prosperity. You will leave feeling peacefully powerful and sitting taller than ever before! 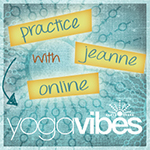 Come join Jeanne for an afternoon learning the advanced yoga practices of breath control (Pranayama,) withdrawing one’s pull from outer stimuli to the inner wisdom (Pratyahara,) and the ability to concentrate the mind on one point of focus for a longer period of time, (Dharana.) This knowledge will not only improve your performance of asana on the mat, but lead towards a peace of mind while you are off the mat. We will review the anatomy of breathing and be introduced to steps to develop a Pranayama Practice at home. These practices will cultivate the condition of sense withdrawal. Students will then learn concentration practices that prepare for meaningful meditation. We will close with a practice that blends all three tools leading to a meaningful meditation. When we can control our breath, we are able to control our mind. This Self-mastery provides an ability to live your life fearlessly and fully.